Spend a day visiting the amazing Amalfi Coast, stop along the road to admire the panoramaand for photoshooting. Visit Positano, Amalfi and Ravello. Bring along: Camera; Sunscreen; Sun hat; Comfortable shoes. Departure from your hotel to Positano. First stop to capture one of the most beautiful landscape in the world. Arrival in Positano to visit the little town with a profound artistic inspiration (1 hour stop). Departure to Amalfi, driving through the beautiful villages of Praiano, Furore and Conca dei Marini. Stop at Amalfi, the original town of hand-made paper production (2 hours stop). Stop at Ravello, a magic land as described by the most noted travelers and elected “a Spiritual Homeland” (1 hour stop). Departure from Ravello to Sorrento. Back at your hotel. 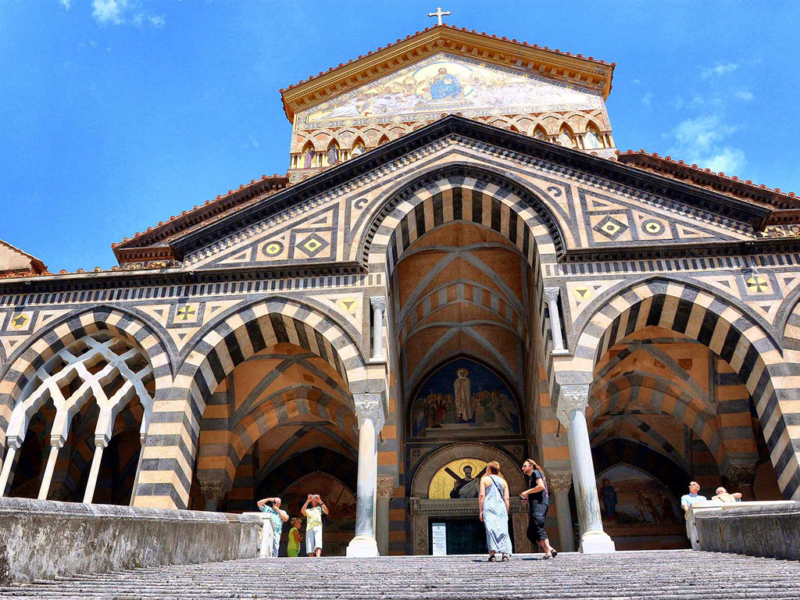 Amalfi: Cathedral (3 €) – Hand-made Paper museum (4 €) – Boat trip, 45 minutes, along the Amalfi coast (12 €) Ravello: Villa Rufolo (5 €) – Villa Cimbrone (7 €) – Cathedral S. Panthaléon.